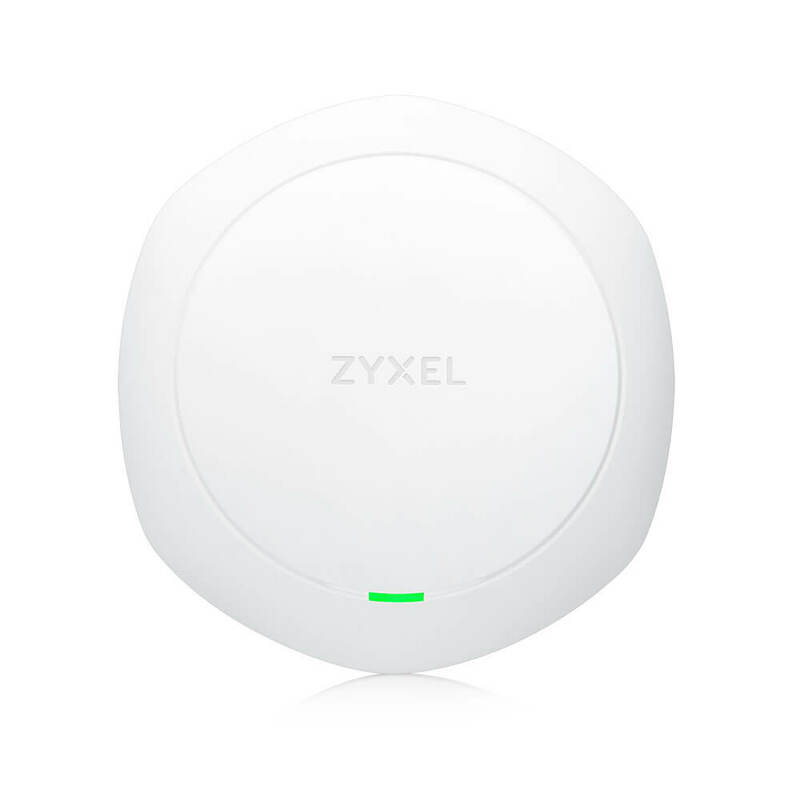 The Zyxel NWA5123-AC HD is a Wave 2 dual-radio 3x3 MU-MIMO Unified Access Point with a combined data rate of up to 1.6 Gbps. Thanks to its superior hardware design with next generation beamforming technology and advanced noise suppression, the NWA5123-AC HD delivers increased coverage and improved connection speeds for every client. The highperformance NWA5123-AC HD is future-proof for the ever-growing mobility demands in high-density environments such as campuses and hotels. Stepping up from 802.11ac, the Wave 2 technology introduces Multi-User MIMO (MU-MIMO). This is an important WiFi development that enables an AP to communicate with multiple clients at a time offering up to 300% performance for a 3x3 AP. The benefits of Wave 2 technology are clear, but there are still two well-known technical challenges: the airtime cost when performing channel measurement, and the data rate being limited by the slowest client in the MU group. To overcome those challenges, the NWA5123-AC HD uses second generation transmit beamforming technology incorporating Low End Sensitivity Improvements and Time Domain Channel Smoothing allowing data rates to increase for not only MU-MIMO clients, but for all existing ones as well. 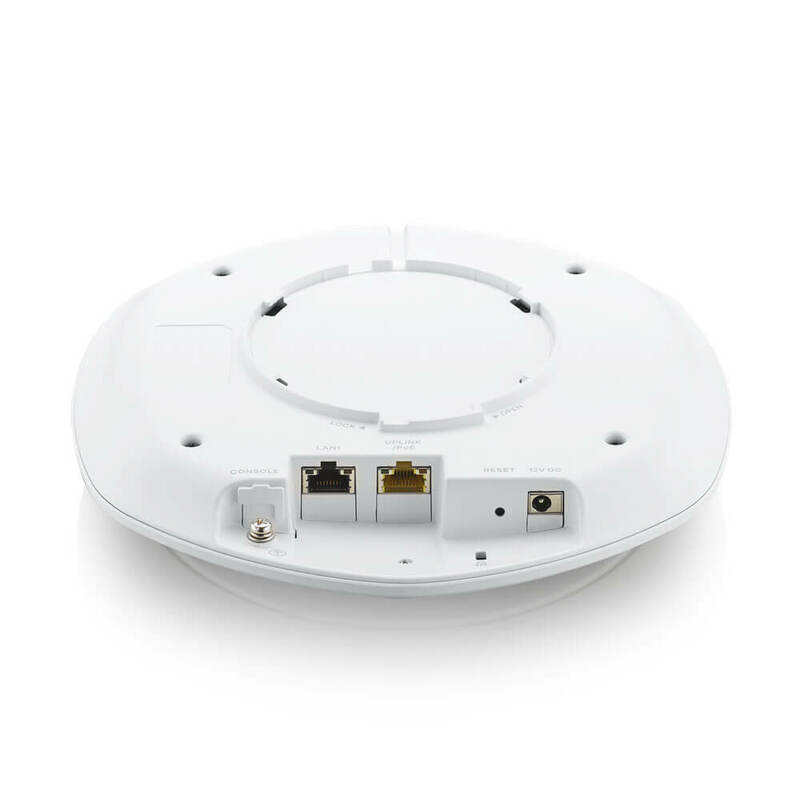 Additionally, the NWA5123-AC HD is built with a high-efficiency antenna module, premium power amplifiers and low-noise elements delivering superior wireless performance over other Wave 2 access points on the market. Maximizing wireless coverage is more than just a game of output power. Every hardware design details including the layout, the antenna and the ability to distinguish between numerous sources of noise all contribute in determining coverage and throughput. Unlike most products on the market that measure only conducted sensitivity without considering the effect of antennas, Zyxel examines sensitivity with antenna (a.k.a. OTA sensitivity) as a whole wireless system to minimize the degradation in sensitivity at receiver end. In short, Zyxel has optimized the design of the NWA5123-AC HD to boost sensitivity and maximize real world performance. Zyxel’s ThermoSense Adjustment Technology is an innovative feature that extends the operating temperature range to as high as to 60°C. It does this by monitoring the temperature threshold intelligently and making adjustments to operating parameters. This ensures continued performance in extreme environments such as warehouses and factory floors. With gradually pervasive 3G infrastructure deployment at customer sites, users start to experience wireless performance degrade e.g. ping drops and high latency, however whenever users shutdown the 3G equipment, wireless service resumes working smooth. To enable 3G/4G cellular network coexistence and minimize interference from 3G/4G antennas or signal boosters, the NWA5123- AC HD has built-in 3G/4G interference filters. As a result, installation of the AP no longer needs to worry about the visible or invisible 3G/4G indoor antennas around. Aimed at minimizing the repetitive task of deploying and managing networks, Zyxel One Network (ZON) simplifies configuration, management and troubleshooting of multiple AP and switch deployments. This enables users to focus on their other key business priorities. 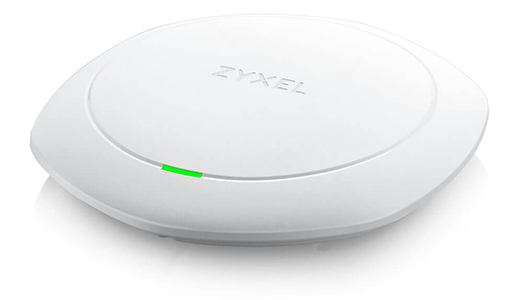 The Zyxel One Network incorporates Zyxel One Network Utility (ZON Utility), an easy-to-use tool designed for instant network setup and Zyxel Smart Connect, which allows Zyxel networking equipment to find and recognize each other automatically. Zyxel One Network further facilitates remote network maintenance with one-click functions, and works across multiple networking products from Switch to Wireless to Gateway. The NWA5123-AC HD ensures an optimized wireless experience for users with a range of wireless features such as Dynamic Channel Selection (DCS), Load Balancing and Smart Client Steering. DCS minimizes the interference of co-channel and overlapping channels. Load Balancing enables administrators to set limits on the number of clients associated with each AP. Furthermore, Smart Client Steering features with Band Select, Signal Threshold and Band Balancing combine to deliver stable, reliable wireless connections. Band Select and Signal Threshold monitor the capabilities of each wireless client and steer them to the less-congested band and AP with better signals. Band Balancing detects dual-radio clients and distributes clients across 2.4 GHz and 5 GHz bands on AP. All of these deliver a smooth, consistent and uninterrupted wireless experience to its users. The NWA5123-AC HD can be configured as a fully functional standalone AP. However, it is also capable of working with a Wireless LAN Controller to form a robust controllerbased WLAN solution with centralized management as WiFi demand grows. Thanks to the innovative APFlexTM technology, no manual configuration is required to choose between standalone or controller mode; the NWA5123-AC HD will automatically put itself into managed mode if a Zyxel wireless controller is found on the network. Using industry standard CAPWAP technology ensures secure and reliable communication between the controller and AP, even if the controller is located off-site. 1 Maximum output power is limited by regional regulatory. 2 When both power sources are available, DC power takes priority over PoE. 3 Supports when working with Zyxel NXC controller. 4 Support from ZON Utility V2.1 or above. 5 Support from ZAC V1.1.4 or above. Download the Zyxel NWA5123-ACHD Datasheet (PDF).